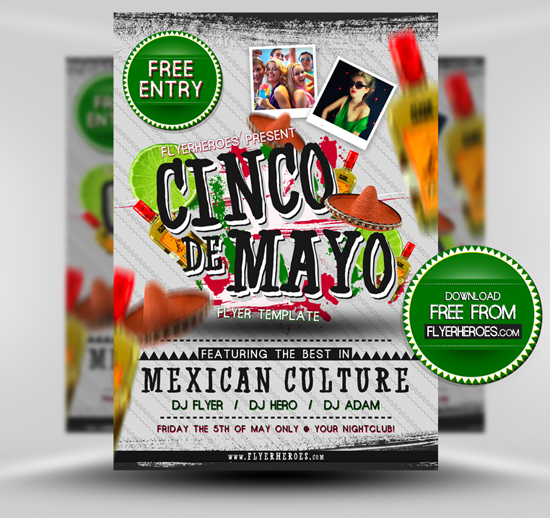 This flyer is perfect for all your Mexican themed Cinco de Mayo, or the 5th of May club, or any bar and home party events! The template comes with all the many goodness and a fully editable Photoshop PSD files, both RGB and CMYK. 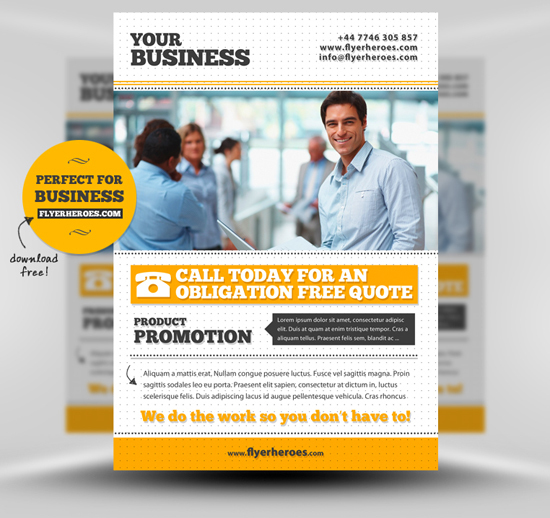 A free Photoshop PSD Business Corporate Flyer Template. Perfect to download and use for all your small business and corporate clients. You could even adapt it to help promote your own services. This free business / corporate flyer template is a simple, typography-based design, very easy to customize and adapt to any business related project you may have. Easily replace the logo/feature images etc. 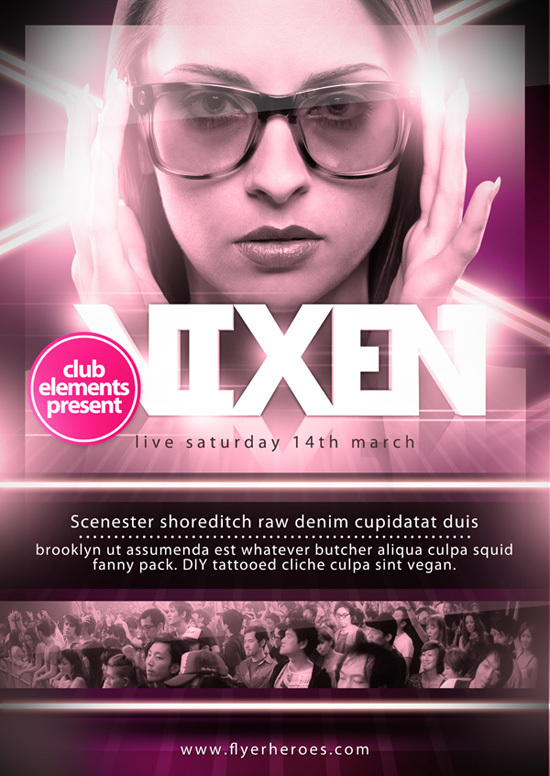 A fantastic club / party flyer template that can be used for pretty much any style of nightclub or event! Fully editable PSD, free to use fonts and incredibly well organised layers. 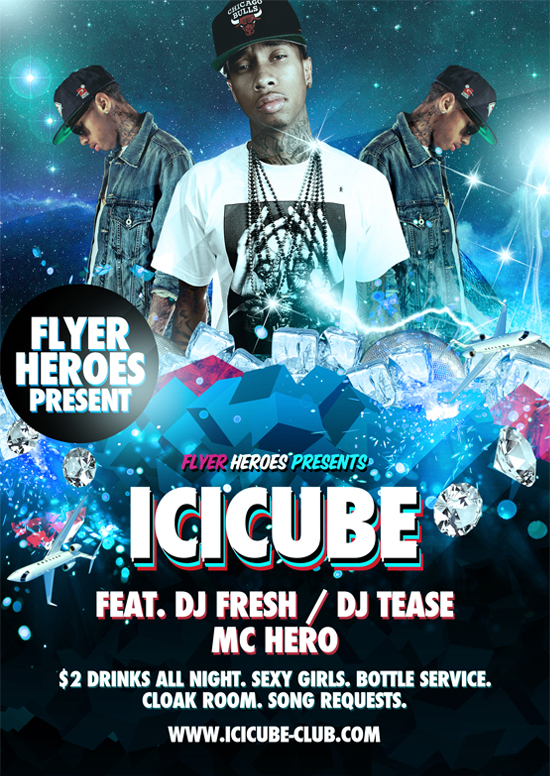 Hip Hop / RnB style PSD Flyer Template. The download contain fully Layered PSD files, RGB & CMYK PSD files, Example JPEGs. 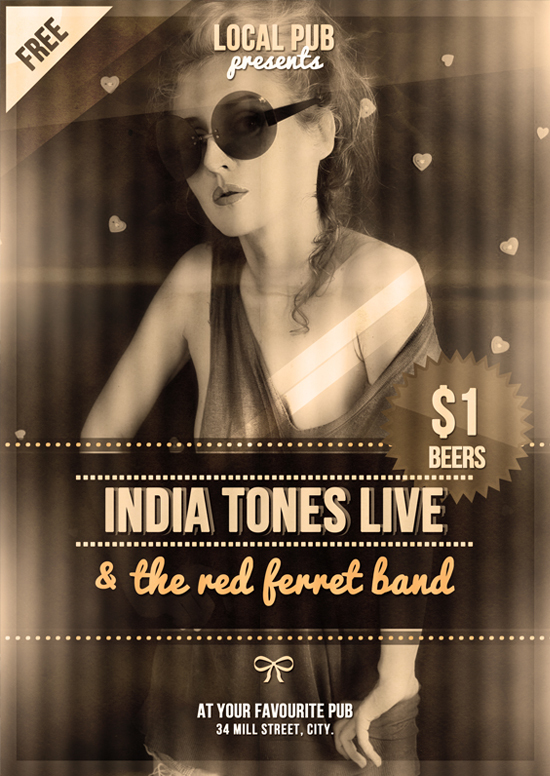 Elegant indie club flyer template, perfect your indie bands, gigs, concerts and solo acts or singers. You may use this flyer template for your personal events or parties, or even use it for commercial clients, such as nightclubs and concert organizers. 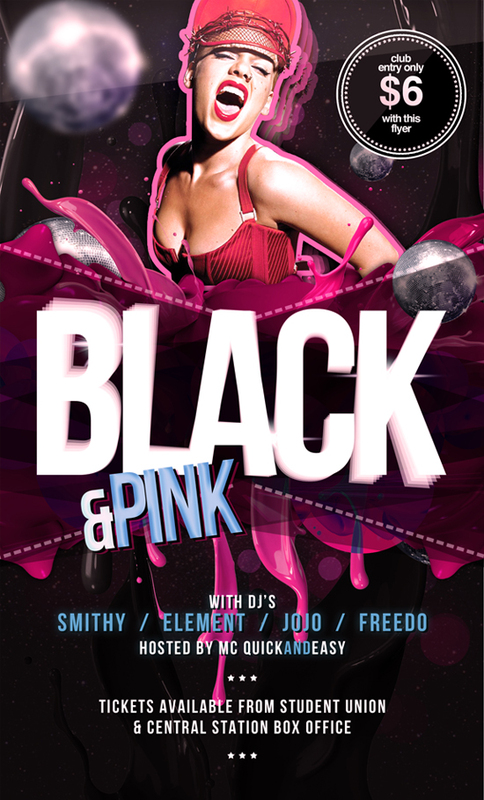 Black & Orange is a free psd flyer template that you can download and use as you wish. The .zip file includes the original RGB, CMYK and JPEG files as well as a second color variation. 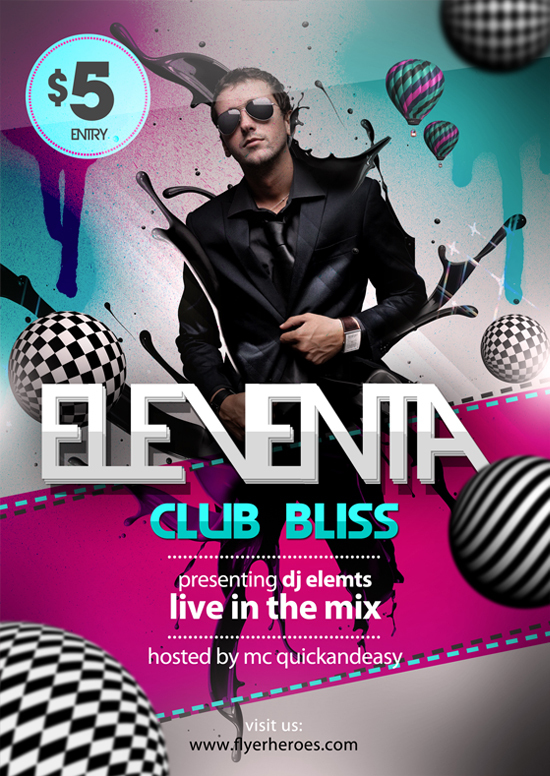 An awesome luxurious, R&B style PSD Flyer Template to download for free and use in any of your graphic design projects. 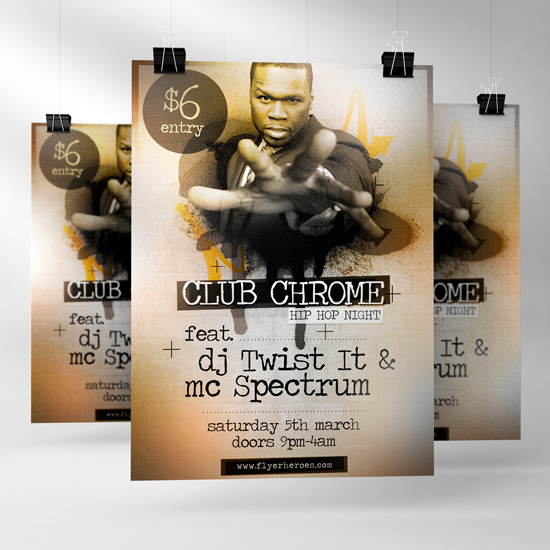 an R&B/Dance Night Club style Flyer Template with a fun but glamorous twist. So what does this download include? Fully Layered PSD files, RGB & CMYK PSD files, Example JPEGs. This template is a glossy, pink and extremely adaptable A3 Poster PSD Template and you can even see how it was made! Template contain fully editable layers, clever smart objects and a perfectly organized layer structure! Is an incredibly simple and easy to use PSD flyer template which you should be able to rebrand to match you event in no time at all. As usual, you can expect a fully layered Photoshop PSD template. 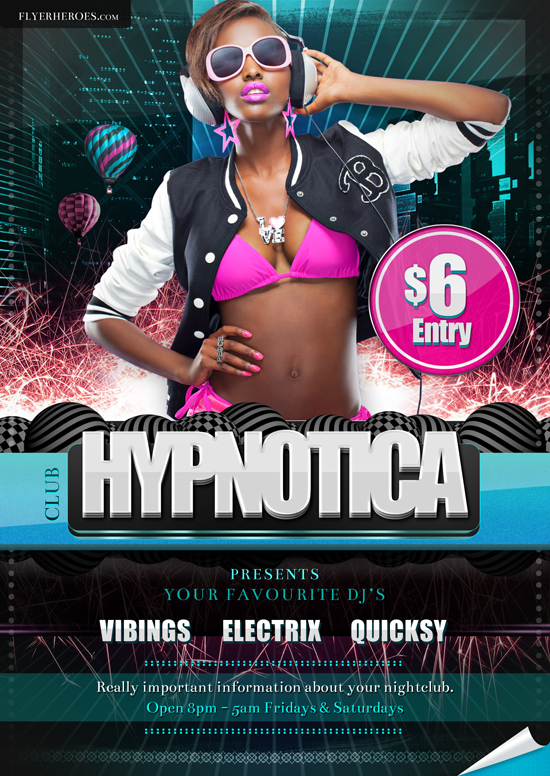 Free party flyer template to download free, use and abuse. 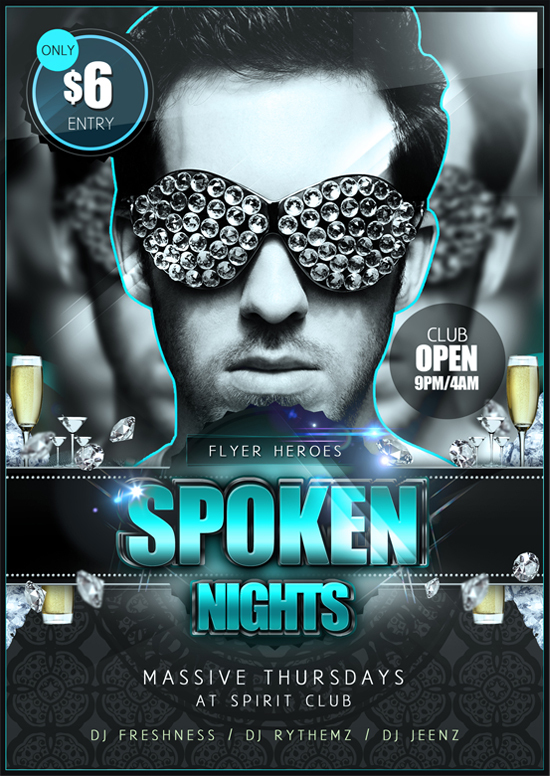 This flyer design is perfect for generic bar or nightclub use and music orientated events. With bright colours, psychedelic elements and a stylish feature artwork, your clients are sure to be impressed with your work!